Singer Dua Lipa called out United Airlines on Wednesday for the way a flight attendant responded when Lipa explained her sister had a peanut allergy. In a tweet, Lipa said the attendant informed her that United is not a nut-free airline. The flight attendant also said Lipa’s sister might have to use an EpiPen because the airline couldn’t refuse to serve nuts to other passengers. In its policy on food allergies, United says it prepares and serves snacks and meals with ingredients that include “major food allergens.” The airline urges customers to notify a flight attendant of any allergy concerns. “In some cases, we may be able to pass along your request to other customers seated nearby to refrain from opening and eating any allergen-containing products they may have brought on board,” United says on its website. A spokeswoman for Lipa, whose song "New Rules" has more than 1 billion views on YouTube, didn’t have a comment because Lipa was still on the flight at the time of the inquiry. While Southwest Airlines said it plans to stop providing passengers with peanuts beginning Aug. 1, some airlines still offer peanuts as a snack option. 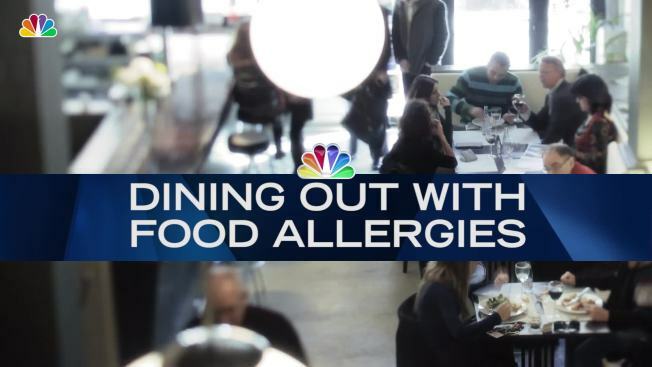 Delta said in an email to NBC that it recently added peanuts to its mix of complimentary snacks but would refrain from serving peanuts and peanut products on a flight if it learned of passenger’s allergy in advance. American Airlines doesn’t serve peanuts but does offer other nut products, an airline spokesman said. A Jetblue spokeswoman told NBC that the airline never has served peanuts on its flights.